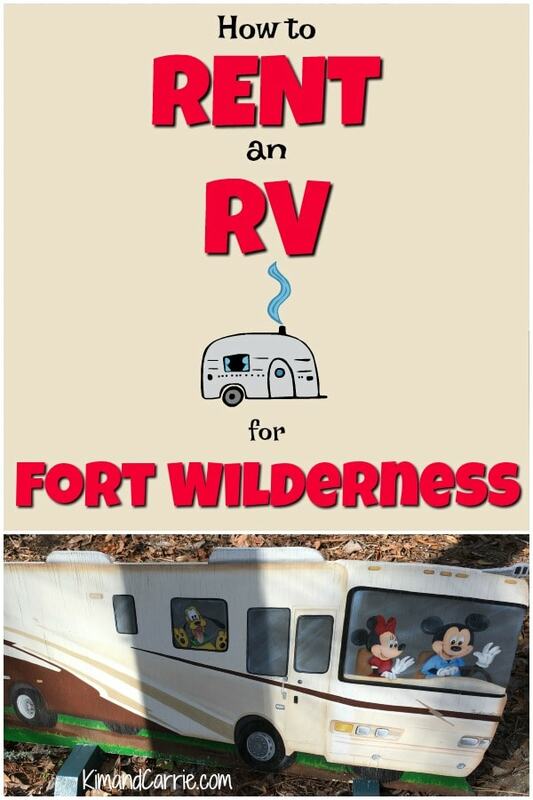 Want to stay at Fort Wilderness Campground in Walt Disney World but don’t own an RV? No problem! You can easily rent an RV and have it driven to the campground and delivered for you! Just arrive and enjoy your camping vacation near the Magic Kingdom with no hassle! 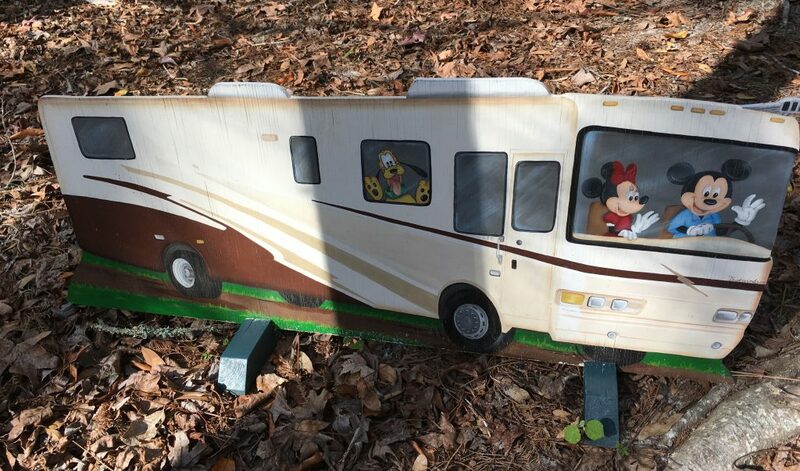 Maybe you think you have to rent an RV and drive it to Fort Wilderness yourself if you really want to enjoy a camping vacation at Disney’s Fort Wilderness. Nothing could be further from the truth! So stop stressing and talking yourself out of this fun family experience and start making plans for the easiest camping vacation you’ve ever enjoyed! 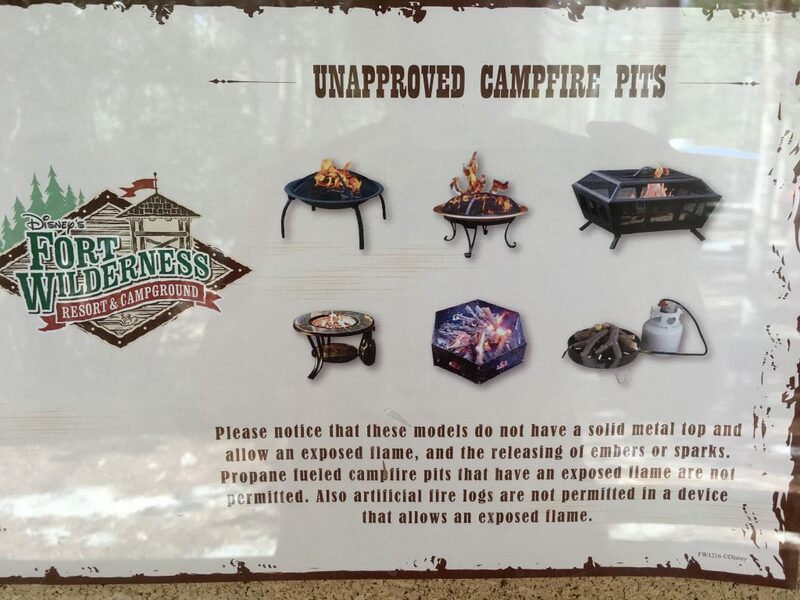 I have personally RVed and camped in Disney’s Fort Wilderness Campground at Walt Disney World. It was one of the most magical Disney experiences and vacations we’ve ever taken so far. 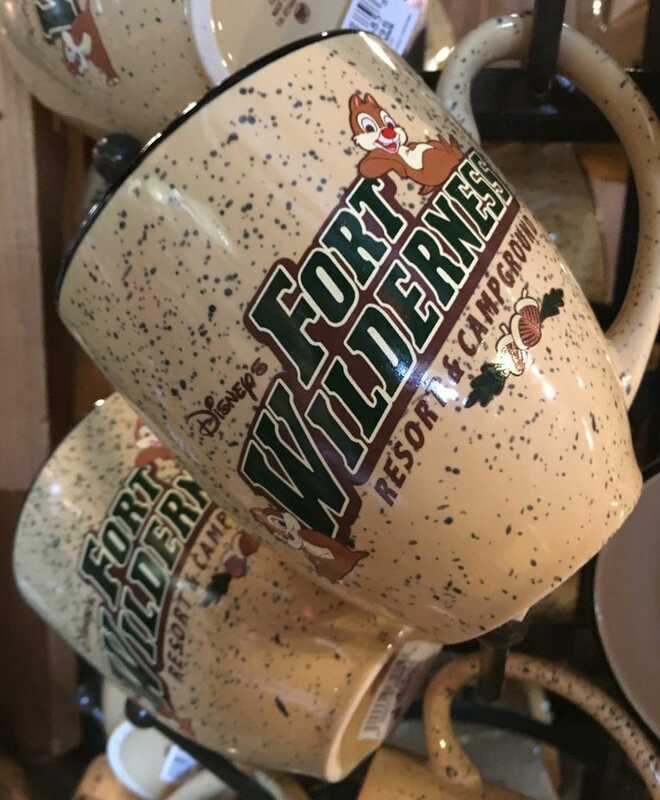 The chance to be away from it all at Fort Wilderness, yet so close to all of the Disney magic (even see the Magic Kingdom fireworks from your the campground’s beach!) is a vacation like no other. But I also don’t want to have to try to back in our RV into another tight site, again (see our video below). 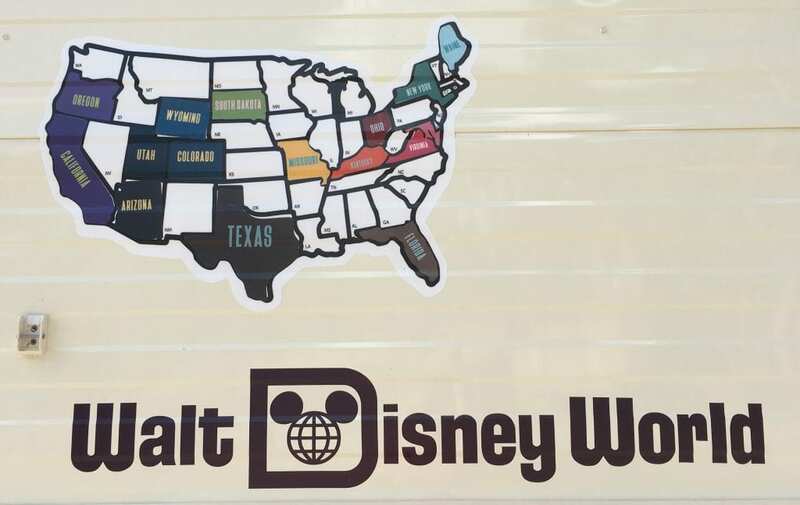 Plus, we’ve sold our RV and wouldn’t want to rent one just to drive down to Walt Disney World to camp. So how can you RV at Fort Wilderness Campground when you don’t own an RV? We discovered Outdoorsy when we were looking at ways to rent our own RV out to make money if we didn’t sell it. Turns out we didn’t want to be in the business of renting our RV, but there are a LOT of people who DO want to rent their RV as a business. Think of it like Airbnb for RVs. Someone lets you rent out their home for a few nights when they’re not using it to make a little extra money. You get a fabulous place to stay. Outdoorsy is like Airbnb in that you scroll through RVs to rent according to your time frame. You pick and choose based on cost, bedrooms, location, etc. Then you work with the individual to do the rental. Outdoorsy is the booking website that brings renters with RV owners together to help both out. 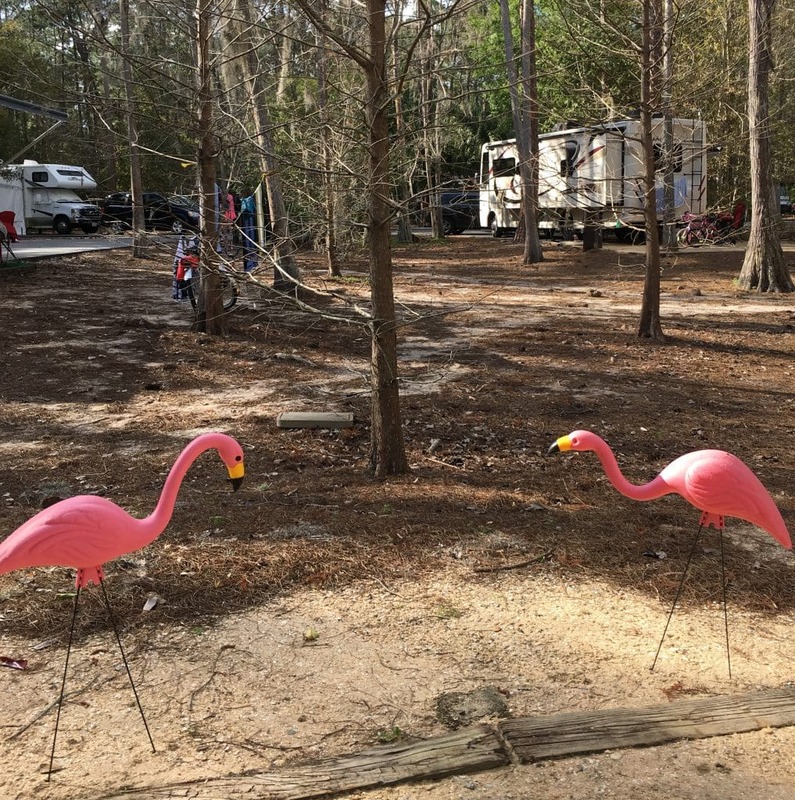 The great thing about Outdoorsy is that many of the RVs for rent in the Orlando area can be delivered to Fort Wilderness Campground as part of the rental! That’s right, you don’t even have to go and pick it up and drive it to the site at Disney World! I love this option because maybe you just want to try out RVing. But you’re afraid of having to drive it, get all the gear, figure out how to park on your first trip. You don’t want all of that stress. Especially if you are going to Disney World. You want to start the magic as soon as possible. A cute campsite decoration we saw during our stay. Why not let someone else do all of the work, and you get to come to a set up campsite and start winding down and relaxing from the moment you arrive? Enter the dates to search for. If your schedule is flexible, you can find RVs that you like and then go in to each listing and click on the calendar to see when the RV is available for rent. Read the Overview section. See if they offer delivery, setup and pickup (you want all three for the least-stressful RV rental) to Walt Disney World. Look at the amenities, paying special attention to what appeals to you. Will you need a TV (not all RVs have them)? Do you want air conditioning? Need an oven or microwave for cooking? Browse through the pictures of the RV. There should be a lot of pictures to really show you what you’ll be renting. Pay attention to any additional fees or charges, including delivery fees, renting a kitchen package (for pots, pans, cups, etc.) or requesting linens or towels be included. Book your magical vacation and communicate with the renter via Outdoorsy to set up everything! Currently (August 2018), there are 778 RVs to rent in the Orlando area. Prices range from $29 to $1,800 a night. The average rental price is $187.93 a night. Renting an RV to stay at Fort Wilderness Campground at Walt Disney World is easy. But if you’re not used to RVing, especially if this is your first time, you might not know what questions to ask. Or what to expect. Which can lead to a lot of disappointment if you arrive and find out your kids are sleeping on the living room table. Yep, it’s probably going to happen. What do I do first? 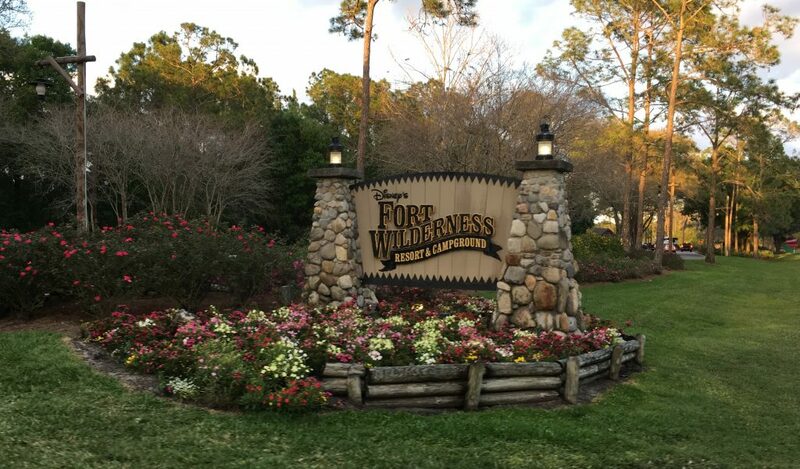 Rent an RV or book a campsite at Fort Wilderness? You might think you know what you want when renting an RV. But then change your mind looking at all of the great options that for renting with Outdoorsy. 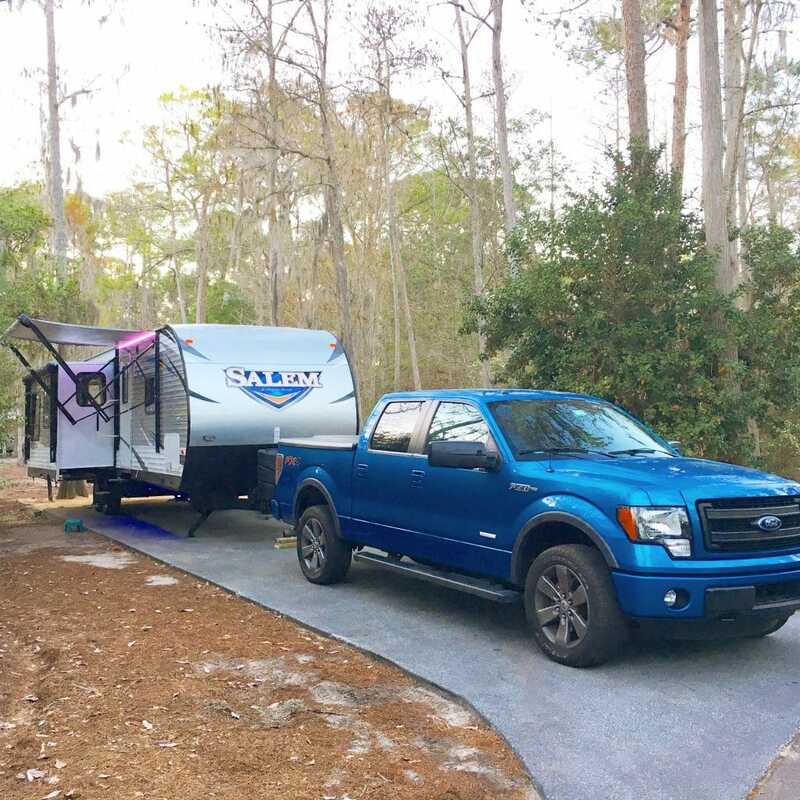 The size and type of your rental RV is also very important, too, when booking a reservation at Disney’s Fort Wilderness Campground. If you don’t know the difference between these types of RVs, you will definitely need to book your RV rental first and then get the information to finish your Disney resort reservation. 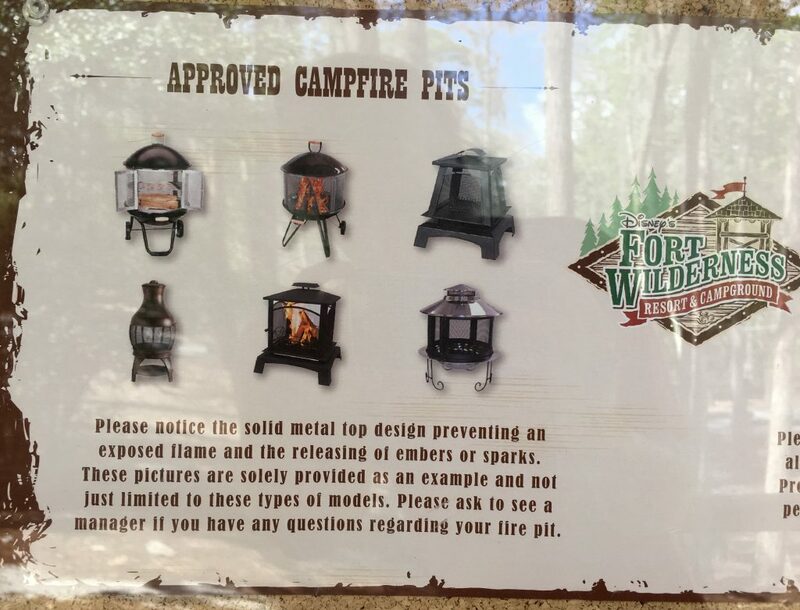 I can pick any campsite I want at Fort Wilderness, right? Maybe not. RVs come in a variety of lengths, from camper vans to 45-foot Fifth Wheels. Not every site is large enough to accommodate every vehicle. When booking a campsite, you need to know how long your motorhome is. Tent or Pop Up Campsites These are only meant for tent camping or if you are in a small vehicle, such as a camper van. Full Hook-Up Campsite The concrete pad in this campsite is 10 feet by 50 feet. Preferred Campsite Though the concrete pad in this campsite is smaller at 10 feet by 45 feet, it costs more than a Full Hook-Up Campsite because it’s closer to the marina. Premium Campsite The most luxurious and roomy of all of the sites, the concrete pad in this campsite is 18 feet by 60 feet. Do I need a car at Fort Wilderness? No, you do not need a car to stay at Fort Wilderness Campground. RVing at Disney is just like staying at any other Disney Resort. There will be bus transportation that you can take to the theme parks. Buses pick up guests at loops throughout the campground. If you want to rent a car, there is parking at your site for a vehicle. After all, guests that bring their own RVs usually have a truck to pull the RV or a car that is towed behind their motorhome. I’m flying in to Orlando. Does Magical Express work at Fort Wilderness Campground for RVs? YES! If you fly into Orlando, you can use Disney’s Magical Express, even if you are RVing at Fort Wilderness Campground. However, bags will not be delivered to your campsite or into your RV. The difference between Disney’s Magical Express for resorts and RVs is that you have to be on site to get your luggage delivered. Your luggage will be delivered to the main Check-In building at Fort Wilderness. When you arrive at the campground, you can go to the building and tell the cast members that you are at the campground. They will then arrange delivery of your luggage to your RV site if you are there to accept your bags. The RV says it will sleep 10 people. So how does that work? Think of an RV’s maximum capacity as the ultimate way to get really close and personal with your family. Sure, an RV can sleep 10. The real question is, where? RVs use sleeping options that you might not even consider at home. Chances are, maximum capacity levels are based on people sleeping on pull-out couches, in bunks over the steering wheel, on tables that are converted into beds, or beds that fold down from the wall. There is nothing wrong with any of these bedding situations. However, if you are trying to sleep 10 adults rather than a combination of 10 kids and adults, it’s quite different. The alternate sleeping situations might not be too comfortable for a grown adult (or 2) to sleep in. Keep in mind that you’ll be in tight quarters, too, so not everyone will have privacy. Think about adults trying to sleep on a pull out couch in the living room along with kids sleeping on the table just a few feet away. And not every bedroom in an RV always has doors that close. Or any doors at all. Not every RV will have tight sleeping quarters. Some will have rooms with doors that close for privacy. But make sure you look at the description and really evaluate your personal situation and need for comfort. Is the cost of the campsite included in my RV rental? No. When considering the entire cost of your Disney vacation, you must add in the cost of the campsite plus the cost of the RV rental. Will there be sheets on the beds in the RV? This is something that you must discuss with the renter on Outdoorsy. Not all RVs will come with linens. Using alternative bedding options, such as pulling a couch into a bed or making the table become a bed, can also use different sheets than you’re used to. Keep that in mind when packing bed linens if you choose to bring your own. Are towels provided in the RV? Again, this is something to be discussed with the RV renter before arriving. How do I get food at Fort Wilderness Campground? There is a general store with plenty of food, drinks, campground supplies (like RV toilet paper, which you need to have) and s’mores ingredients. You can buy most of what you need there, but it will come at a Disney price tag. 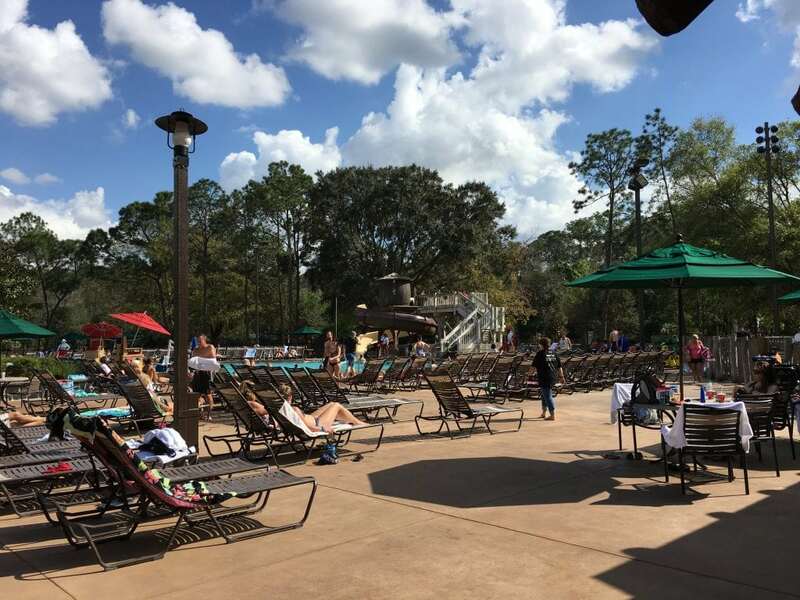 Many restaurants are on site at Fort Wilderness Campground, including full-service dining, quick service meals, pool side restaurants, pizza to go and even a food truck (well, really a food RV!). Will I have pots, pans, dishes, utensils, or appliances in the RV? Ask the RV renter about what will be in the kitchen when it is delivered. Perhaps they deliver an RV fully assembled. Or they might charge a daily rate or one time fee to supply you with basic necessities. How do I make coffee? Make sure there is a coffee maker included in your RV rental! Will I have electricity camping in an RV? Yes. Disney’s Fort Wilderness Campground has full hookups (which means electric, water, and sewer). So you will have electricity inside your RV. A TV is always in the RV, right? No. Not always. Check the amenities list on Outdoorsy or sent a question via email to the owner. Not every RV has a TV. But some RVs have 3 or 4 TVs! What about air conditioning? Is it hot in an RV in Florida? Yes, it can get hot in an RV in Florida, for sure! Especially during the summer-like weather which seems to last about 9 months of the year! Most RVs will have air conditioning. But again, you must ask in advance or look at the amenity list. Keep in mind, pop-up campers generally do not have air conditioning. So only rent those during mild temperature times in Orlando, such as December – March. Will I need to dump the toilets or do anything with sewer hoses? Dumping the toilets is the fear of every first time RVer! Don’t worry about this! Every site at Fort Wilderness Campground designated for RVs (not the Tent sites) has sewage hookup. If you are having an RV delivered to the site and set up, this should be done for you as part of your package. 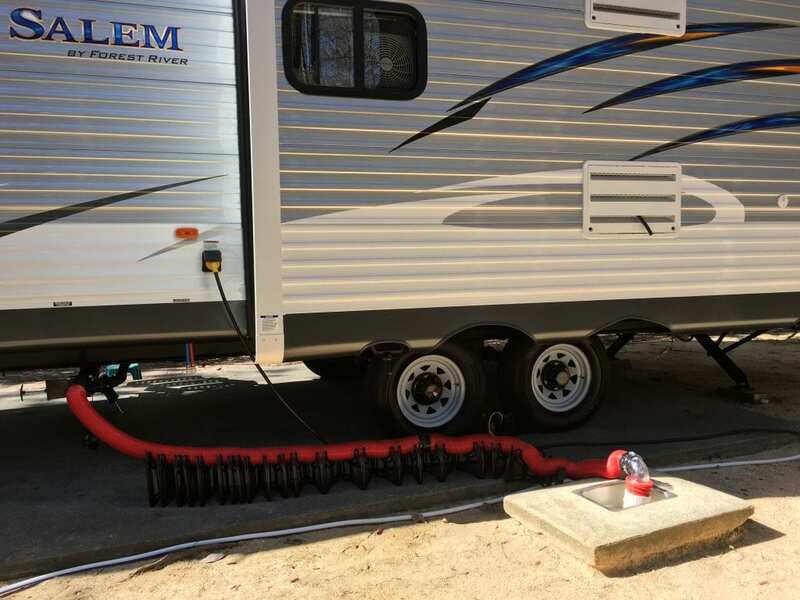 If the renter is also picking up the RV after your stay, then they should be dumping the sewage, too. No. Generators are used for camping when there are no full hookups (water, electric, sewer). However, Fort Wilderness does have full hookups at their RVing campsites. Can I BBQ on a grill? If there is a grill included with the RV rental, or an outdoor kitchen on the RV, then yes! Otherwise, ask the rental RV about adding a grill as part of the package. What about chairs to sit on outside? Or an outdoor TV to watch? This needs to be discussed with the RV renter. Either look at the amenities list on the RV rental listing on Outdoorsy, read the overview for additional information, or send an email to the renter to discuss details of what is included. Whether an RV allows pets is up to the RV renter. Keep this in mind when renting an RV. If you will have your pet, ask about the pet policy before renting the RV. Not all motorhomes will allow pets because many of the RVs are still personal homes for the renters, who might be allergic to pets. If you are allergic to dogs or cats, you will want to ask whether the owner (or other renters) have ever allowed pets in the RV. My kids need to take baths. Are there bathtubs in an RV? Sometimes. But it’s not too common. If you have kids that need to take a bath rather than a shower, be sure to read the description of the RV you are considering renting or look at the amenities list. How do I do laundry? Fort Wilderness Campground has laundry rooms for guest use. 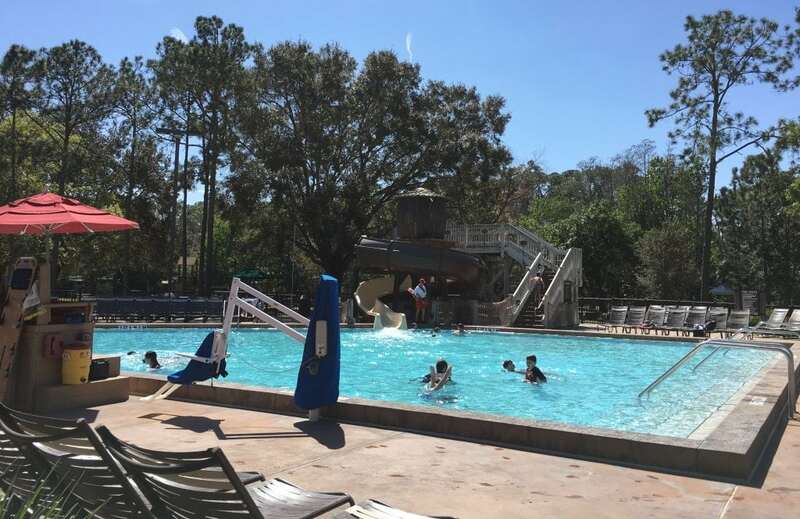 Are there pools at Fort Wilderness Campground? Yes! And they are nice! Plus, they have a restaurant beside them. You’ll feel like you are at any other Disney resort. 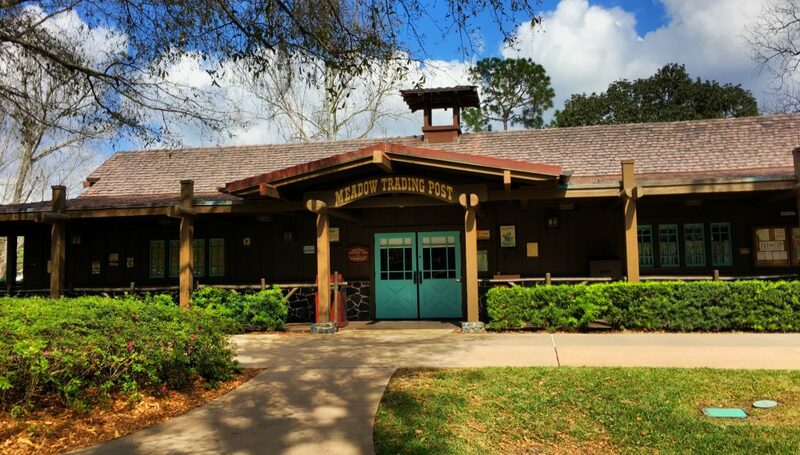 Can I Have a Disney Dining Plan if I’m Staying at Fort Wilderness Campground? You can add the Disney Dining Plan if you book a Magic Your Way Package which includes the campsite and theme park tickets. What about Wifi? Will I be able to use the internet in the campground? YES! This was our concern, too, but we found that Disney’s Fort Wilderness Campground had some of the best Wifi at RV parks. You’re on the Disney World wifi network, just like in a resort or in the theme parks, so no worries about uploading photos, doing social media, or working on the road. If you love RVing, check out our beauty hacks for RV living and our best choices for comfortable beds for an RV. You can rent an RV anywhere in the US with Outdoorsy, for as long as you want! Or, start making money with your RV by renting it through Outdoorsy right now!